SAS Calls for Autumn Beach and River Clean volunteers! Marine conservation charity Surfers Against Sewage is calling for 15,000 beach and river clean volunteers to join the autumn’s biggest plastic collection event across the UK. 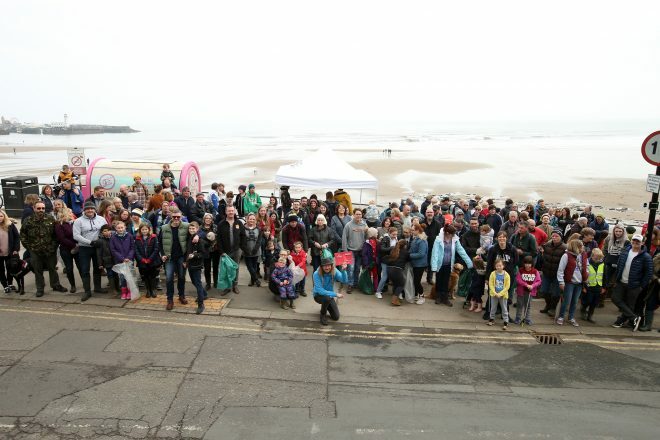 Across the week of the 20th to the 28th October Surfers Against Sewage (SAS) is organising its biggest Autumn Beach and River Clean with more 400 beaches and 60 rivers across the UK receiving cleans, tackling plastic pollution before it reaches our marine life. The rising tide of plastic pollution means that SAS is calling for more volunteers this year than ever before. A staple of every beach cleaners calendar, the Autumn Beach and River Clean has grown from strength to strength since its inception in 2011 and is riding the wave of an explosion in awareness around the issue and the well-documented ‘Attenborough Effect’. This year, to continue this momentum and create a bigger impact, SAS has partnered with British Canoeing in a bid to stop plastic pollution closer to its source and prevent it reaching our beaches. This partnership will see canoe clubs from across the UK running river cleans across the UK. For the first time Surfers Against Sewage is asking volunteers to become ‘citizen scientists’ and track the types of pollution they find on the beaches and rivers and share this evidence with the Government. The UK Government is currently consulting the public on a Deposit Return Scheme to be launched in the UK – a scheme where every bottle and can is recycled and reused in a closed circular economy. This is a scheme backed by Surfers Against Sewage and proven to work in Norway and in some states in the US where plastic pollution has radically declined. To find a clean near you, head to https://www.sas.org.uk/regions-reps/ or emailing Jack on [email protected].